England were at full strength as they stepped up preparations for the start of the European Qualifiers against the Czech Republic. All 23 players called up by Gareth Southgate were involved at St George's Park on Tuesday, with no injury concerns among those who made up his final squad. Southgate lost the services of Fabian Delph, John Stones, Ruben Loftus-Cheek and Luke Shaw on Monday, calling up Callum Hudson-Odoi and James Ward-Prowse as replacements. 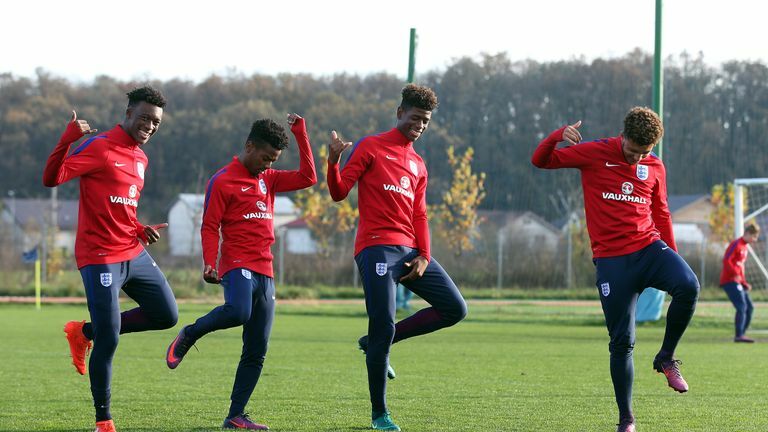 Trent Alexander-Arnold, Raheem Sterling and Marcus Rashford worked in the gym with England's medical team feeling they had endured a tough workload over the weekend. None of the trio are injury doubts for Friday's clash, Sky Sports News understands. 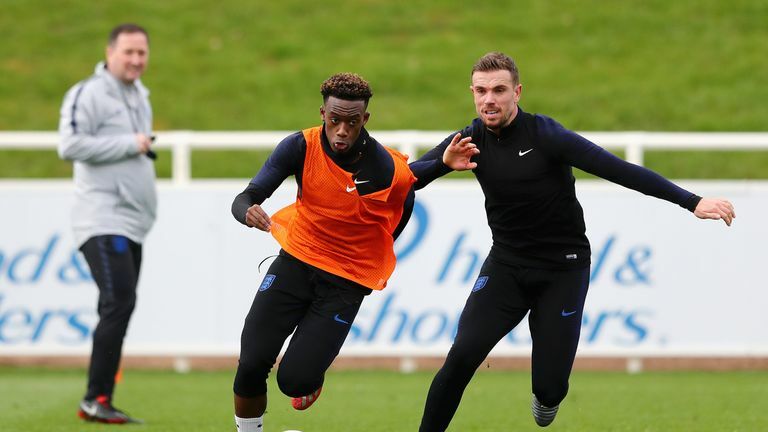 Chelsea winger Hudson-Odoi and in-form Southampton midfielder Ward-Prowse worked with the rest of the squad, which was bolstered by Burnley youngster Dwight McNeil, who is in the U20 squad, and goalkeeper Aaron Ramsdale, on loan at AFC Wimbledon from Bournemouth. Ross Barkley and Michael Keane only trained during the first half of the session before heading off to do individual work with England's training staff. Chelsea's Callum Hudson-Odoi reacts to his first call up with England's senior squad. Credit @England Twitter. England take on the Czech Republic at Wembley on Friday night in their opening qualifying match for Euro 2020 before heading off to Montenegro for their first away qualifier on Monday. The two games are Southgate's last international matches before June's Nations League finals in Portugal, where England take on the Netherlands for a place in the final.